Digital news. Graphic design. Photography. Social media. Video. Fake news. These were the topics of discussion during a one-day high school communication conference in Boise Thursday. Nearly 450 teens from across the state got a sense of life as a journalist and learned about the media business. 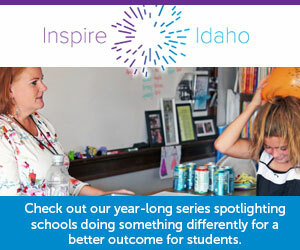 Students and advisers participated in workshops and Q&A’s with Idaho journalism professors and journalists. Students heard a keynote speech about the importance of a healthy press in American society today. Students discussed the meaning of fake news. To hone their journalism skills, 50 students participated in an all-day video, hands-on workshop to learn the fundamentals of creating an effective news package from the ground up. This included videography, sound recording, editing and story structure. Other workshops included discussions about digital-only media, Google News Lab tips and tricks, making great pictures for publication and writing for sports.